According to reports on The Verge, Nokia will be announcing six new devices in Nokia World, which will be held on 22nd October in Abu Dhabi. The even was also announced on Nokia Conversations; Yep – it’s official! 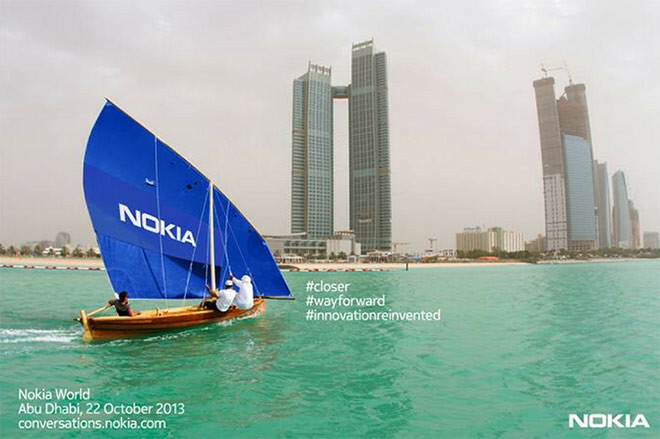 Nokia World is coming and the Nokia Conversations team will be in Abu Dhabi on October 22 to bring you the news as it unfolds. For now, we have probably seen rumors and leaked photos of their upcoming 6-inch phablet, the Lumia 1520 and also a Windows RT tablet. The Lumia 1520 will also be the first device to come with 1080p display and GDR3 update. One Response to "Nokia To Announce 6 New Devices on 22 Oct Event"
Would love to have a Nokia tablet!